In a sharp turnaround, California Pacific Medical Center said it will keep 28 patients currently at St. Luke’s Hospital who had been told earlier that they would have to leave the hospital by Oct. 31. Now, the St. Luke’s facility will stay open until June 30, 2018, according to a memo from hospital staff to patients. Moreover, once it closes, the 28 patients with needs like intravenous feeding and ventilator dependency will be able to remain in San Francisco at another California Pacific facility. It’s unclear if that will be the new facility next door, or the center’s Davies campus in Duboce Triangle. 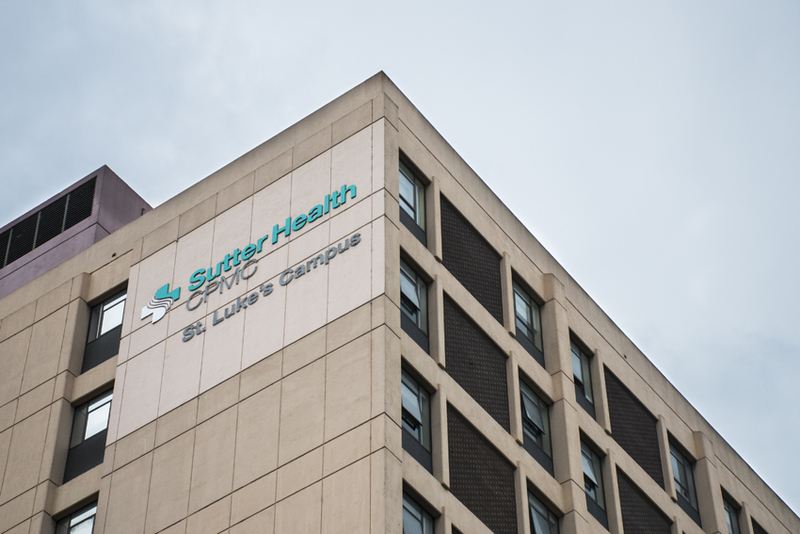 “We have decided to provide continued care in San Francisco within the CPMC system to the 28 patients currently at St. Luke’s, should they choose to remain in our care,” the letter, signed by Chief Nurse Executive Scott Ciesielski, reads. Many of the patients at St. Luke’s have been there for years, or even decades. Patients and their families have fought the closure for months, saying the patients might have to be shipped as far afield as San Jose and Sacramento. That kind of distance, many worried, would have a serious detrimental impact on patients. Browner had previously stated at several public hearings that the healthcare nonprofit simply did not have space to accommodate the sub-acute patients in its other San Francisco campuses. In Monday’s statement, he said the hospital expects to find a new location for the patients in the next few months and that patients would ideally be transferred when the new hospital opens in August 2018. “Since patients and families were notified in June of the eventual closure, we’ve heard many heartfelt concerns over the impact that a transition to an out-of-county facility could have on you and your loved ones,” reads Ciesielski’s letter to patients. “For these patients, it’s beyond critical that their family members be able to easily visit them and help support their care,” Ronen said in a statement. The notice comes a day before the Board of Supervisors was set to sit as a committee of the whole and discuss the case at its Tuesday afternoon hearing. The unit’s full capacity was 40 beds, which are the last of their kind in San Francisco. The broader conversation about what to do with patients who need long-term care has been ongoing, and companies like CPMC as well as statewide associations and city government representatives have been trying to find a way to accommodate these patients through a Post-Acute Care Collaborative. That group is expected to release a full report in November.